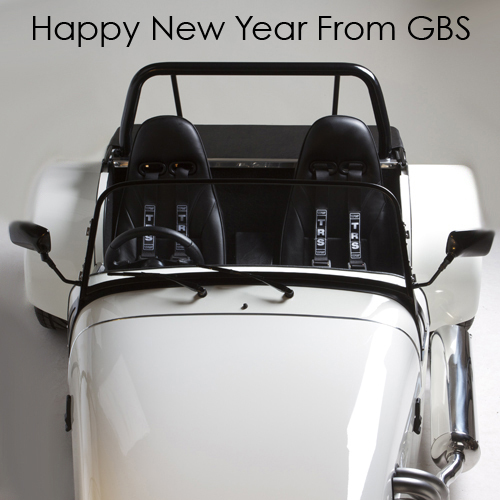 HAPPY NEW YEAR FROM EVERYONE AT GBS…. Great British Sports Cars and the Kit Spares team would like to wish you all a Happy New Year. We are now looking forward to a very busy 2013 with many new and exciting challenges ahead. GBS are also pleased to be exhibiting at the AutoSport International Show next week at the NEC Birmingham 10th – 15th January. Come and vist the GBS stand and see the GBS Zero range that we will have on display (stand number 19122) for more details about the show please visit www.autosportinternational.com. Join GBS and Kit Spares on facebook. HAPPY NEW YEAR TO YOU ALL….